Y Strainers are heavy duty ones– engineered to stand up to the most aggressive of industrial and commercial applications….year after year. There is simply no higher quality Y strainer available… at any cost. 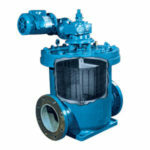 It may seem strange to discuss quality as a special feature of a basically simple Y strainer, however, it is appropriate when you consider the critical operational parameters often associated with Y strainers used in steam and gas applications, extremely high temperatures and high pressures. A Y strainer is a pressure vessel, its wall thickness can be analyzed and evaluated by different applicable standards. 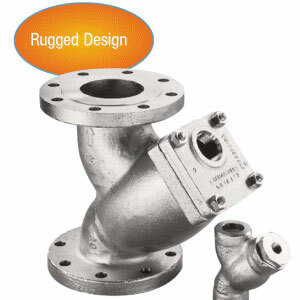 Every rugged Eaton Model 85 Y strainer is designed to stand up the most demanding real world applications. With over 75 years experience in manufacturing, this is ensured. There is a tendency to trivialize quality, particularly when price becomes a dominant consideration. What this design consideration amounts to in non-critical, light duty applications is an extra element of safety, as well as longer, more dependable service. We extend our preoccupation with quality to each screen that is supplied with Eaton Y strainers. It should not come as a surprise to learn that those Y strainers, whose bodies are trimmed to a bare minimum for cost reasons, are equipped with screens that lack structural integrity and are poorly seated and sealed. Eaton heavy duty Model 85 Y strainers are furnished with high quality stainless steel screens that are carefully fabricated to fit the strainer body perfectly. This, coupled with the precision machined screen seat on the body of the strainer, protects against any bypass. Eaton Model 85 Heavy Duty Y Strainers are available in carbon steel or stainless steel for pipeline sizes from 1/4? to 10?, with threaded, flanged, or socket weld connections. Do you have a unique application where a standard strainer just won’t work? Or…do you need special materials of construction, super high pressure ratings, special dimensions? Contact us. 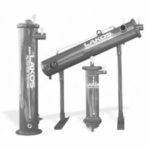 Our engineers will design and fabricate a strainer to match the requirements of the most complex applications.